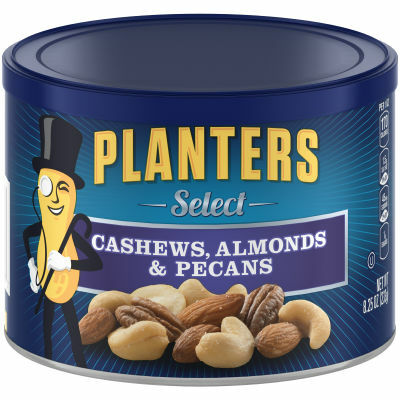 Planters Select Cashews, Almonds and Pecans offers a premium mixture of all your favorite nuts. A healthy and satisfying snack, this mixture is salted with pure sea salt to give you that rich, nut flavor you crave. Available in a resealable 8.25 oz. canister, this select nut mixture will stay fresh between snacking and makes grabbing a healthy handful easy. Serving size 1oz (28g/about 20 pieces).